...and great reflections your got! Nicely done. 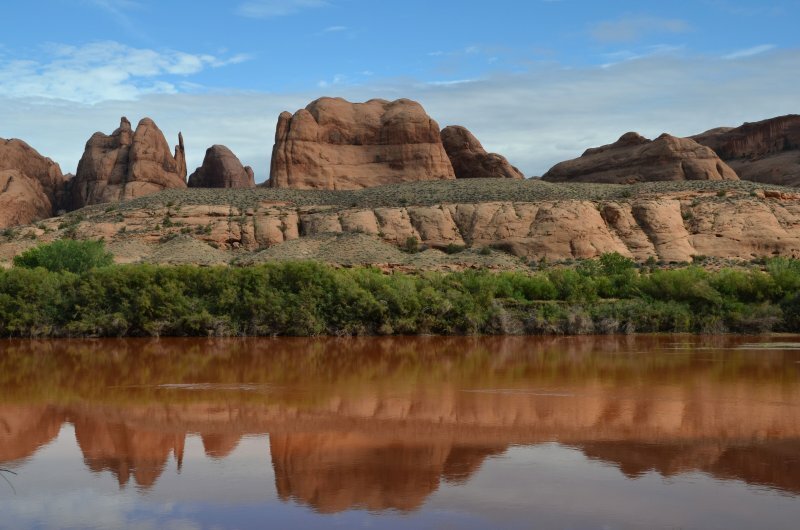 The sandstone monuments are doubly alluring here with the reflection. V.
Love it, there must be still some Navajos around..! This is gorgeous, David. You did very well finding this gem of a scene. And undoubtedly an easier hike out than what Glenn and I had at False Kiva. Beautiful place and lovely reflections. Welcome water in this dry land...V.
Even the muddy waters from 'that rain' can't hide beauty from you.